Measure everything from your table top to the next client your are fitting for their suit with our custom printed Tailor Tapes. The great thing about branded tailor tapes is that they are always handy. Whether they’re being used as a make shift tape measure to measure up a room for redecorating or taking measurements for adjusting a suit or gown for alteration, they’re always useful to have around. 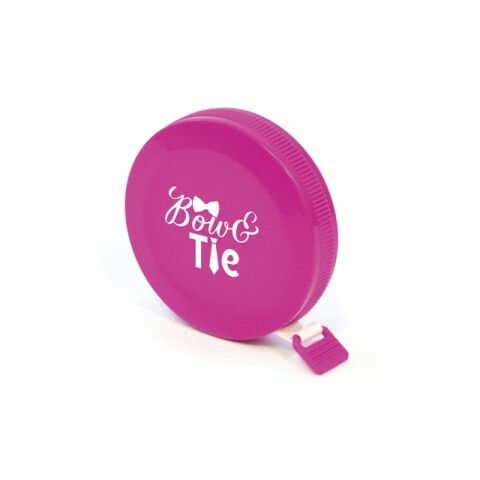 Being such compact personalised items, and with one from this range even having it’s own keyring attachment, promotional tailor tapes are great for storing easily for later use or allowing your customers to use on the go. This helps to keep your branding in front of them and makes them great for tailor's, furniture companies and any house decoration companies as simple cost effective customised handouts. Attach our personalised Tailor Tape Keyring to your car keys so you’re always equipped or kit out your tailors with our branded Budget Tailor Tape - Metric/Imperial. 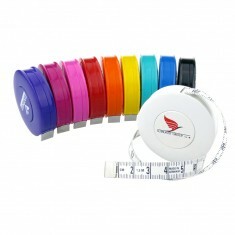 If you want to impress your clients with a high quality version, try our branded Premium Rainbow Tailor Tape. Available in 9 different colours that all have large branding areas which can be customised with your design. Whether you’re looking for CM on one side and inches on the other, or CM to both the choice is yours with your product. 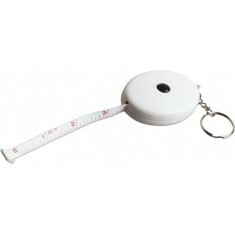 Perfect for handing out as a useful gift to clients or kitting out your tailors with your own personalised editions. Want to find out more about getting your own personalised tailor tapes? Give our sales team a call today. 1.5 metre length. 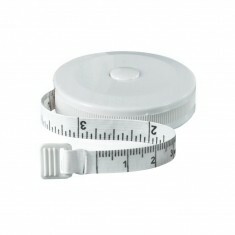 Centimeters and inch measurements. UK stocked. 1.5 metre length. Tailor tape. Retracting push button. Keyring attachment. 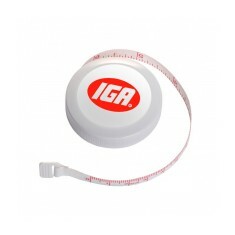 Make sure your branding measures up with our branded Tailor Tape. 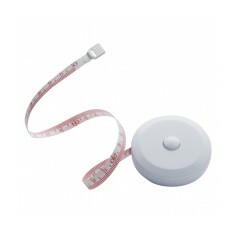 Made from a ..
Our premium Tailor Tape is supplied with a 1.5m long fiberglass tape with both..
1.5m length. Made in Germany. 9 colour choices. CM to 1 side, Inches to other.